Well, as you know, the IRM makes exactly this point in multiple locations, so this is just re-stating what should be SOP for the IRS. It is encouraging, however, to see these type of comments coming out in a public setting that is quotable. This is so self evident, that it is shocking that it has taken the IRS this long to figure it out, if the reporting by Tax Notes reflects current or evolving IRS thinking. Thanks for this post Jack. This is the first bit of leaning-towards- positive-news I have read since coming to know of the FBAR. I wish they come out with some positive news fast, so that honest people can do the right thing quickly and move on with our lives rather than spending sleepless nights wondering about the uncertainty of the monstrous penalty to come and get us. I hope when the IRS does adopt this logic and the clarification comes out for the "some nonwillful violations" part - honest immigrants working in the USA who can prove that there were no illegal funds involved on either end, can get some relief from it too. Just because they have saved more than 75K over the years in the native country accounts, does not mean that they were doing it to avoid taxes and defraud the US. I agree, this just seems to be a restatement of the IRM. I'm not sure there's anything new here. Also, I recollect that the Large Business/International segment is the one handling FBAR issues, so I'm not sure if the SBSE counsel necessarily has inside info. Then again, I think the Phildaelphia campus is handling a lot of foreign account cases. What would be helpful would be if the IRS posted some concrete opt out statistics: median penalty, number of warning letters instead of penalties etc. Of course, they are not going to do that, so we might have to wait for the next TAS report or an FOIA request. This, after over three years of "terror tactics" by the IRS? Too little, and far, far too late. Please keep in mind that this comment at a seminar is not binding on the IRS, but I don't think the attorney would be trying mislead. And, as some have noted, it is a restatement of what the IRM provides. At a minimum, this gives you an argument you should make in the audit (whether opt out audit, QD audit or GF audit) -- this taxpayer will comply fully in the future. If IRS has good will to do something good, they can start with immigrants retirement plan -- RRSP for example. Would they ? Similarly situated taxpayer, one inside the OVDI 2011 and one doing a QD. How would the above news benefit both these taxpayers? In theory, on the standards articulated by the IRS, both should get the same audit result -- the OVDI on opt out audit and the QD on audit after QD. If the IRS applies those standards as indicated, they will get the same result. And, if indeed, this news article fairly states that the IRS will be doing warning letters alone where sufficient to insure future compliance, then that is good news. We will have to see if these are seeds for false hopes or for real hopes. This is another tactic of IRS to buy time. This way it just wants to cool down aggressive rush of people renunciating US citizenship. IRS should come out fast & soon to do the deficit trust management & win the hearts of innocent people. I have been filing OVDI's with a request for a Waiver Letter since 2009. Many of my clients are dual nationals who have non-U.S. source accounts arising pre-immigration. While they may owe income tax, interest and penalties for failure to report, the current 27.5% civil misc penalty is too much for many and they are considering expatriation. THere need to be a more flexible approach to FBAR compliance. In general broad strokes, how has the IRS responded to your requests ? Have they been generally responsive, generally harsh, somewhere in between ? Also, have they sought a detailed 'facts and circumstances' explanation based on the facts of the case, or just used a one-size-fits-all approach ? "offshore" accounts in their native country, are tax evaders. I hope the IRS wakes up to this reality soon - Punishment should befit the crime. The fact that people have already been coming forward, even without the assurance of being let off with a penalty letter - that itself shows in many cases(where the funds are legal and taxes are paid at both ends) that these are honest folk who made a mistake. It is a simple litmus test really - people wanting to hide money and evade taxes do not send tax paid money through banks in the USA and keep accounts in their names, joint with their parents or spouses. It just amazes me that such a simple, logical and obvious criteria is being ignored by the IRS. I wish someone like Jack Townsend were on the IRS panel and if JT were not averse to it, he could be the one replacing Shulman. Now, if only wishes were horses then I would be super happy. In 4.16 of the IRM it clearly states that FBAR penalties are NOT (emphasis added) to be used as punishment but to ensure further compliance. Now if someone makes a willful noisy disclosure, pays taxes interest and penalties for the past 8 years, submits past FBARs as well as the one due by 6/30/2012, just what more is necessary to insure further FBAR compliance? Unlike others trying the quiet route, I have done a noisy disclosure and will pay about 90% of the past 8 years income on the accounts between income tax (Federal and State), interest and 20% negligence penalty, legal and accounting fees, all this before any FBAR penalty. Just how much weight does the IRM's statement that penalties are to be used to ensure further compliance have? Why does the IRS have to make it so difficult and hard for immigrants to fix their mistakes? I am pretty sure there are a lot of people out there wanting to fix those, but they simply are so terrified that they get paralyzed. I would think it's very common that people immigrated to the US after accumulating some money in their home country bank accounts through hard working. And they didn't know about the US taxation rules when immigrating to the US. We're talking about honest and reasonable people raising families that at some point made a mistake, found it and are now trying to fix it. As Jack have said, it would be a win-win situation for both sides if the IRS were more willing to have these people tried fairly and not simply guiding them to programs designed to waive criminal's sins. Mr. Millar, would you please let us know how the IRS responded to your requests? Thanks. At what point do you send this letter? When you and your customer decide to opt out? Because inside OVDI, examiners don't have the discretion to waive the in-lieu of penalty. The IRS's public opt out documents say that a full scope examination will likely be initiated if audited for all years (even closed ones). In fact, the opt out documents say that opt out is likely suitable only for a 'discrete minority' of cases, and for the others, full scope examinations (which I assume means domestic and offshore) will likely be initiated. Do you have any anecdotal evidence (either pro or con) that fulll audits are actually taking place ? I would assume that those at risk for a willful penalty would normally not opt out, and those that do are not likely to have any sleeping dogs, so there is little incentive for the IRS to audit, especially for closed years (given the high standard of proof for civil fraud). Of course, the IRS does 10s of thousands of office audits yearly, so another audit is likely not a big deal for them. Then again, if they think they can only pick up say 2K more in minor matters from an audit (assume a salaried employee with vanilla deductions), then they could just collect with an assessed FBAR penalty, which requires much less work. The IRS can devote audit resources as it wishes. However, doing full bore audits of OVDI opt outs would be one of the stupider things the IRS has ever done, as you note. OVDI requires amended returns for all of the years being audited. Competent practitioners require those amended returns to be fair presentations of the tax liability and the components used to compute tax liability. Doing less will jeopardize the benefits of OVDI and even, if sufficiently off target, create new criminal exposure for the taxpayer. And all of the tax preparer's workpapers are available upon request. In effect, the audit work has been done solely at taxpayer's cost. The IRS may want to do some limited testing, but I doubt that it is really going to be doing full audits in most of the OVDI cases. Now, if it smells a willful FBAR penalty or a civil fraud penalty, it probably will launch a more complete audit. But those cases should be rare, because those subject to serious risk of these enhanced penalties should not opt out to start with. They were poorly advised to opt out. Most of those with that exposure will not opt out. But, even for those who do not opt out, the IRS can still audit to see if there is unreported tax or unreported offshore assets. But again, particularly for those subject to civil fraud or willful FBAR penalties would be incredibly stupid to have played games on the amended returns and delinquent FBARs submitted in the OVDI package. A ray of hope indeed. Wonder how this changes one's strategy if they are just starting with OVDI? Jack, I have decided to do the quite disclosure after having amended my previous years returns. I am in the position of sending my previous years FBAR's now, was just wondering if its best to send all on one package or separate or send the delinquent ones in one package and 2011 in a separate package. Any thoughts or it just does not matter? If they are all ready now, all should be sent on the same day. The question is whether in one package or in separate packages. I send them in a single package. I have heard practitioners say they send them in separate packages because they fear the IRS will staple them together and log them in as a single amended return (i.e., the one on top). I don't know whether that is a legitimate concern or not. Like I say, if they are all ready to go at one time, I send them in a single package with a cover letter stating the number of years included, separately identifying the years in separate numbered paragraphs. I have the same question. I got three month extension so filed all OVDI papers Dec. 9, 2011. No word yet about agent. I applied for 5% of all accounts which totals $200k in penalties without my RRSP. Can I argue non-willful reasonable cause within OVDI or must I pay lawyers to opt out. Have already spent $50k on lawyers and accounts. Same analysis applies. The instructions say that you attach the reason for the delinquency to the FBAR. I would put that explanation blended with a reasonable cause statement as an attachment as the instructions state. Then, whether you submit separately or all at once is your choice. I would submit them with the same type of cover letter identifying each FBAR enclose in a single package. I just heard from the agent today on a 5% request. That package was sent in early August 2011. Are you saying that total accounts without RRSP is $4,000,000? That would tell me that you can afford to pay an attorney to guide you through this decision. I can't speak as to whether the $50K you have spent was well spent. That depends upon your attorneys and whether they were experienced and practiced efficiently on your matter. I can't speak to that. But, given where you are now, you need advice on whether to opt out if you do not reach some acceptable number inside the program. It sounds like if you get 5%, you might take it but that, if you don't get 5%, then you need to consider alternative of opt out. In either event, I think you need current good advice on what might happen if you were to opt out. 5% is still $200,000. You need an experienced and efficient attorney to help with that. Obviously, your other attorneys did go or should have gone through a learning curve as to the multitude of facts and circumstances that would go into that decision. Assuming you have confidence in those attorneys and have maintained a good relationship, they are the ones to assist you. If you don't want to go to them for any reason, there are plenty of other attorneys who can fit the bill. The problem is that they will have to go through a learning curve to give you good advice in a situation where you have a lot of money at stake. a) Are you seeing more and more cases from the 2011 being reveiwed now? I just spoke with a lawyer in the OVDI attorney list and based on the fact that I had been in the US for 12 yrs and had around 83K in 2010, I was told I need to do OVDI. I had thought I could do QD because the unreported interest income was very little, around 6K and hence unpaid tax after the foreign tax credit would be less too. But now, I am real worried as to how I am going to be able to afford the $15K of attorney fees and pay 27.5% of my balance in my offshore accounts. In total, it comes to 50% of my account balance which would be the case if I was discovered by IRS anyway. I am not sure which way to turn now. I doubt you would get much of a foreign tax credit if you were in the US (because the other country would likely tax only on income there, and even if they deducted tax, it would not be actually due to the country). With all that, 6K interest per year does not sound that much, especially if it doesn't push you into a tax bracket. Your attorney knows the facts of your case well, so there may be some reason why he recommends OVDI, but you might want to consult another attorney too. if you had a legitimate reason for opening the account and keeping it, and have no other obvious badges of willfulness, then I don't see that it matters if you have been here 12 years. I think our own ij has been here around 12 years too. I hope your attorney is not trying to scare you into OVDI for the purpose of 15K fees. Then again, your case might be complicated. Attorneys are simply following what IRS want them to do. IRS has stated very clear Not to QD. I am not saying you should join OVDI, but to explain the reason why attorneys recommend you to join OVDI. Even if you do decide to join OVDI, you really don't need an attorney to represent you (even if you later decide to opt-out), if you don't have other bad facts (if the source of income is clean), you can just do all yourself as I did. We sent our package in May - June 2011 and have not been contacted by an agent. Lots of people here seem to have been assigned an agent. Did you do anything to be assigned an agent. Please let us know. Anybody else here in OVDI 2011 waiting for assignment to an agent? All the accounts are in my native country and joint with my spouse and father and all are in my name and other than 3 new accounts(one of which has a zero balance), were opened when I was working there and before I had even thought of coming to the USA. Just based on the balance in the account, I was told that I need to OVDI and I was cited examples of people who have been prosecuted. I submitted in August and have not been assigned an agent yet. There are plenty of people who have not been assigned an agent. Repeating what I have said before, the IRS did say not to QD. But, thinking through logically, that message was targeted to the taxpayers with bad facts who could actually benefit from the inside OVDI penalty structure (as opposed to an opt out audit). b) I don't know what you mean by certify. It takes months -- sometimes 8-10 months or more -- to assign to an agent and sometimes up to two to three months to work the case. Indeed, I have had some cases that have been with the agent for longer periods, but they had wrinkles. Straight-forward cases, once assigned, should move pretty fast. All these messages lead me to believe that IRS wants everyone with offshore tax non-compliance to join OVDI. IRS may "want" everyone to join OVDI. But, as I have said before, what the IRS should use is the carrot / stick approach. Give taxpayers something to join OVDI. If all they "give" the minnow to join is the same audit result that would apply if they don't join, where is the carrot? And, approach it from a stick perspective, where is the stick -- the cost -- if they don't join OVDI is they don't get better than an audit result by joining and opting out? And, just to follow through, as I suggested before, the IRS should, for example, tell taxpayers who join OVDI and opt out that it will apply 1/2 the audit result. That will be the carrot to join and the stick not to join. But the IRS has not said that. Rather, the IRS said join, be audited and get the audit result or stay out, possibly be audited and get the audit result. That is both carrot and stick, depending upon perspective. But that is not the program the IRS says it is applying. Just for further clarification on this, the IRS does offer the bad taxpayer (one whose conduct rises to civil fraud and willfulness) a carrot and a stick. The carrot is to get in and take the inside OVDI penalty to achieve a better result than he or she could upon audit. The stick is that, if you don't get in, you get a worse result on audit. That is not the same dynamic with the noncivil fraud / non willful taxpayer who is at risk of an audit result only unless he or she gets in OVDI and does not opt out. That taxpayer has no incentive to join OVDI because the worst result is the audit result which he or she will surely get if he joins OVDI and opts out and may or may not get if he or she does QD or go-forward. Look at Jack's spreadsheet. I think almost ALL people who have been prosecuted have accounts of several million plus, some bad facts (almost all have used entities) and have been unlucky to boot. I think there have been only a few prosecutions for < 1M, and those people had some really bad facts (a VA doctor who was caught smuggling cash in through customs, for instance) AND iron clad cases against them. I think even willful violators who do full QDs are unlikely to be prosecuted. In your case, the probability is probably well below 1%, probably below 0.1 %. If you want to blow 30-40K on that miniscule chance, then that's your choice. I would suggest talking to Jack, flying into Boston. It could be the best investment you make. Example similar to your situation, or people with much higher balances? Many minnows self prepared in order to avoid big accountant costs. is the IRS more likely to look askance on self prepared amended returns ? Bear in mind that foreign income may be miniscule for immigrants with small accounts) and domestic income is largely W-2 income so there is probably not much money to be made for the IRS if there is an occasional footfault (missing receipt for an expense or something) from an old return. I wonder why the IRS opt out memo seems to suggest that most opt outs would (not could) be fully audited. Is this just an attempt to warn people that they if they have some skeletons in the closet, they shouldn't opt out ? Or an attempt to intimidate ? Even people with clean returns wince on hearing 'IRS audit"
The skeletons in the closet should have been corrected on the amended returns submitted in the program, I am not talking about the nickel and dime stuff, but material amounts of omitted income still omitted and overstated deductions still overstated. If the amended returns were materially bad, you should seek wise counsel before opting out. Having said that, I doubt that the IRS will be routinely do comprehensive audits of opt outs. And, having said that, I imagine -- but can't state from knowledge -- that the IRS may give some credence to amended returns prepared by professionals they recognize as good because of the due diligence those professionals undertake. So, if that is a good imagination, then it may well be that returns prepared by taxpayers are subject to more scrutiny. But, from an administration perspective, I could argue that they should not be. But what the IRS does in this regard is a bit of a black box. i submitted in dec 1st week and a friend of mine in aug. Both have been assigned agents. I think the assignment seems to be arbitrary. Hi anon how long back were you and your friend assigned agents? I think many OVDI participants are somewhat risk averse (which is why they joined), and that is why they imagine worst case scenarios. I think that even if the IRS did an audit, AND found the sort of foot fault you may find in a routine audit (a few missing receipts, a few medical deductions they reject, an expense log missing ), the worst that could happen is that you have to pay those taxes. Now, the IRS could expend a lot of your LCUs by doing audits of many years. But if they don't think they are going to find anything beyond a few hundred bucks, is it going to be worth their while ? No. In the example in their FAQ, they mention doing a full income test for for all years. Now, I have no sleeping dogs and no problem with a full income test, but it would be an expense of LCUs. But I think the probability is very low the IRS will do that. The IRS has done some stupid things in this program. I am sure practitioners have lists of very stupid things the IRS has done. Still, I would be surprised that the IRS would pour a lot of resources into auditing many opt out returns. I remind taxpayers considering joining OVDI and then opting out of the civil penalty structure, that the amended returns and the delinquent FBARs need to be very good - truthful and complete (not the same thing as perfect; returns rarely are perfect; but certainly fair). If they are, let the IRS waste its resources in auditing. The unfortunate thing is that when the IRS wastes its time in audits, it generally also wastes the taxpayer's and his practitioners time as well. And that increases the taxpayer's costs. I suppose there is some solace that the taxpayer's professional costs of the stupid audit are deductible, so that depending upon the taxpayer's tax profile, the IRS may be effectively paying for not only its wasted resources but also a portion of the taxpayer's resources it has forced the taxpayer to waste. If readers perceive an edge in this comment, it is because the IRS just today did an incredibly stupid thing inside the OVDI penalty structure that will end up costing the IRS revenue it could have had for the picking and costing the IRS and the taxpayer a lot of resources in the resulting opt out audit, expended so that the IRS can collect less than it could have with a reasonable application of the inside penalty. Just incredibly stupid. So, at this point, extrapolating from this anecdote, I could conclude that there is not much in the way of stupid stuff that the IRS won't do. From the way described it, it seems like the outcome on opt out will be work better for your customer, who might have been willingto accept amore reaonable penalty staying in the program. It seems like this is what might happen to ij, if the IRS decides to include his RRSP. Is there anything lawyers like you, Phil Hodgen, Steven Mopstick, Michael Miller can do to make them change those stupid rules? Was the OVDI crafted and voted by congress? Or can the program be changed "more easily" by the IRS commissioner. I don't understand why it is so difficult to change this program, that seems to attract more minnows than whales after the first couple years. The IRS's attitude is that the OVDI inside penalty is just a cost the taxpayer can choose to pay if they wish. Otherwise, they can opt for the audit result, which theoretically is the result all taxpayers should get for the relevant conduct. In this environment, the only taxpayers who benefit from the OVDI are the really bad guys because they get a lesser penalty than they would otherwise have gotten. Most taxpayers will be better off by opting out. These are the better taxpayers who will then have to suffer through the time, expense and angst of an audit. It is weird and stupid that the IRS would design a program whose major benefit is to the worst offenders. But that is what it has done. Jack and other here - Is it worthwhile to write to the IRS and ask them about assignment if the package was sent in Mar 2011? It seems people who sent in later have been assigned an agent? Jack, what (more) stupid stuff are you hinting at, when you say "the IRS just today did an incredibly stupid thing inside the OVDI penalty structure" ? And also do tell about the "costing the IRS and the taxpayer a lot of resources in the resulting opt out audit" - did they change some requirements here too? Canada7, this is really good news, that IRS is considering a more fair way to deal with expats and immigrants. Is this going to be just limited to expats and US persons based in Canada, or globally? It will be hard for IRS to justify such relief for Canadian based expats or immigrants from there. It might be worthwhile to check whether opt outs from these category of tax payers have increased and thats getting the attention within IRS, TAS and congressmen. Did you get a chance to check that with your attorney? Are you saying that the IRS is actually developing such a policy ? Or is that wishful thinking. They have had months, if not years, to deal with it. Here is a link to ACA website and their April newsletter. ACA is doing a great job in raising awareness of the unintended consequences of all the tax compliance issues for expats. They met with IRS last month and per the Apr newsletter, IRS and Treasury acknowledge the difficulties of expats in tax compliance paperwork, and severe negative consequences of foot faults. Here is the link. So, this validates what your lawyer mentioned about finding a reasonable outcome for expats and US persons overseas. What's the hurry? Time is on your side. One or more tax years may drop, and you may learn more information about how optouts are going. if someone is in the OVDI plan, no tax years are going to drop, since tax years are frozen at the time the IRS manager signs the extension form. if you reach the end of 2012, the examiner may ask you for another extension. In general, there is probably no great harm to signing these extensions because they are important only on opt out and they cannot open an already closed year. However, the law regarding the FBAR extension is far from clear. I would certainly not advise anyone who wants to opt out to sign any FBAR extensions that open a year that was closed at the time that person entered the program. Could you please briefly explain the audit process outside of the program? i.e the IRS sends an information document request related to our foreign account. We send them the bank statements on 3 years showing the account value and income we did not report.And then what happens? They just tell us how much we owe in back taxes and penalties? I assume they're also going to ask us to file delinquant FBARs.Can the case just stay civil, or if they choose to assess FBAR penalties (even non-willfull), they have to press charges for "Failure to file FBARs"? Thanks for giving us some light in what might happen to us in case of audit, for non-willful "small actors". This knowledge will help remove some of the uncertainty we're facing. I assume you are talking about an audit on QD or just go-foward (and not an opt out audit). The audit can be a full audit of all material items related to the return or can be a focused audit relating to offshore matters. The taxpayer (usually through a professional) will respond to the audit as the agent conducts it. Almost certainly it will include production of the foreign account bank records for some number of years. It will also include a request for amended returns and delinquent FBARs. The case can stay civil, but it can turn criminal. That is a choice the IRS makes and I am not smart enough or don't have enough experience to predict in advance how the IRS makes the choice. Certainly, one can expect the really ugly cases to turn criminal, although if the IRS already has enough information for it to turn criminal, the case would not be under civil audit. If indeed the client is "non-willful", then the case will not turn criminal. Willful is the term of art for both criminal prosecution and the highest level civil penalties (civil fraud penalty and FBAR willful penalty). So, by definition, if the case is non-willful, the case will not turn criminal. This just invites close scrutiny as to whether the taxpayer is non-willful. Only a professional could help you with that after developing all of the facts and circumstances that bear on that issue. If you are in OVDI and do not opt out, the statute of limitations is irrelevant because you pay as you agree to pay. If you opt out, then except in cases of civil fraud (basically willfulness), early years will probably drop off because the Form 872 applies only to tax years that were open when the IRS signed it. I know the Form 872 consent says it applies to all years from 2003 forward, but it does not apply to any year that was otherwise closed when the IRS signs. That's the law. Suppose a go forward person is audited for a previous year on regular tax (assume a routine audit, and a minnow) when foreign income was not included. What happens at that time ? On being contacted, the go forward person promptly informs the examiner of additional income (small amounts) and offers to amend return ? Assume person has no realistic threat of criminal exposure, so no reason to plead the Fifth. Examiner may not be a special offshore account examiner, so may even treat it as a regular case, just add an accuracy related penalty and interest (assume civil fraud is extremely unlikely too) ? Or maybe some FBAR penalty. Does that seem a realistic scenario, or too optimistic ? Of course, one would need to hire a professional on receiving audit letter. On the audit, the taxpayer responds to the questions the agent asks and not to the questions the agent does not ask. Often a routine audit will be targeted to some items reported on the return -- not to some item not reported on the return. The agent may or may not limit the questions to that item. Just listen to the questions and respond. There is no obligation to fess up when you get the audit letter unless the right questions are asked. Keep in mind that the go-forward strategy should not be adopted by a person with material criminal risk. Talk to a professional about that. The nuances that go into good advice on that issue cannot be developed in a blog setting but require intense give and take communications between the taxpayer and a professional. Surely the first question an auditor would ask (assuming it was not a correspondence audit) would be if the taxpayer knew of some income or tax understatement in the taxpayer's return being audited ? I am just surmising here, I have never been audited, but that is what I would do if I were an IRS examiner. When asked that question, a go forwarder (or his rep) has to answer truthfully (and of course, the taxpayer may have already filled in another return with foreign income included for a subsequent year, so there is evidence of the taxpayer's knowledge). Of course, if the taxpayer is only asked about specific deductions, or specific items on the return, the taxpayer can answer those truthfully without referring to foreign items. I went over your tax procedure book, section 19 in particular, that dealt with examinations and practitioner ethics. While directed at practitioners, I found it very useful as a guide on how to behave in audits and respond to questions and IDRs. Question: have you generally found it better (assuming no realistic criminal risk) to insist on written IDRs before responding to examiners requests ? The advantage is that one has a paper trail, the disadvantage is that one risks annoying the auditor into demanding more information just because he can. There is no set rule as to when to insist on a written request (IDR) rather than a verbal one. It depends on the "ambiance" of the audit or investigation. I generally prefer a written request and a written response, because then the paper trail is clear. Oral requests and oral responses or even written responses to oral requests offer some opportunity for slippage and misunderstanding. Generally, I find that requesting a written request will not irritate the agent. Indeed, some agents really prefer the written request because their paper trail is then clear. Just to add to what Jack said: My experience was, that my Examiner either was too busy or didn't want to commit much to writing. The best I got were form letters and hand scribbled notes. So, I found myself writing her, confirming my understanding of our phone conversations or her requests so I had a paper trail. I think that served me well when I took everything to the TAS. So, even if the examiner doesn't put something in writing for you, then you should put it in writing for them to convey your understanding of what was said or agreed to. Very good advice and practice. Here is a link to The iRS website that discusses potential relief- tax and FBAR for US expats and dual citizens residing overseas. if no US are due, no penalties. Fbar - no penalties for reasonable cause, even if US taxes are owed ( tax deficiency) but the tax amount is de minims. So, this seems to be a change in IRS position than before. To clarify, this publication is for expats and dual citizen residing abroad. Jack and colleagues, any thoughts on the implication of this publication on expats and dual citizens in OVDI? Here is the link to the above post. I had accidentally posted a wrong link. Most audits are done through correspondence and you get asked for explanation or proof of certain income, deductions, or discrepancies. See the immediately preceding reply. Usually, the IRS identifies the areas it wants to audit and it expands the scope of the audit as it determines is appropriate. But, in my experience that is not the first question. Indeed, if it were, the IRS's opening correspondence would be for the taxpayer to submit an amended return under penalty of perjury and that would pretty much wrap it up. Except for items which are really uncertain for which a reasonable return reporting position could be taken, the amended return approach would get everything. In an audit, if I get some question like that, unless my client has authorized disclosure in advance, I would simply say we are here to respond to questions about any audit item the IRS wants to ask about but we are not going to do the audit for the agent. In other words, I just don't answer the question. I suppose the IRS could press the matter by issuing a summons and asking the question on the resulting summons Q&A. But, I am not sure DOJ Tax would seek enforcement of a summons for a question so worded or that a court would enforce the summons. Of course, it should not get to that point in a well-handled audit. But the real reason that it generally does not get to that point is that generally is not the way it is done. Jason Kuratnick, IRS associate area counsel.. explained that the Office of Chief Counsel reviews every proposed FBAR penalty. "Our office is involved early" and is ensuring that adequate facts exist to support the proposed assessment, said Kuratnick. is this good for minnows, in that it would prevent proposed penalties from getting out of hand ? And it may also provide some incentive for the IRS to settle with the taxpayer before going to Counsel for approval [ I don't know if the approval is sought before trying to settle with the taxpayer or not]. Also, I assume it would mean the willfulness penalty is recommended only when it seems to be justified. I assume that is the purpose of having counsel involved. 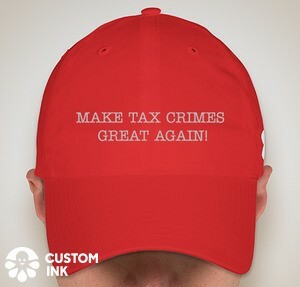 Keep in mind that collection of the FBAR penalty requires IRS to go to court rather than just make an assessment and use the IRS collection tools. Hence, it is good to have attorneys familiar with the requirements of litigation -- specifically, the difficulties of proving willfulness -- involved in the process. The IRS will have a real slap in the face if it asserts FBAR penalties that DOJ will not enforce by bringing the required proceeding in district court. Hi Jack, I have a question regarding this. I only found out about FBAR the middle of last week. I got my 2012 in on Friday so I beat the deadline for that. Now I'm looking at getting the previous 5 years in. The problem is that the website states that from Jul 1st, e-filing is mandatory for FBARs. The problem there is that there is no way to append a cover letter or any other kind of explanation to an e-filed FBAR. I think that could be a recipe for disaster. I'm wondering if you have any advice on that. Currently I'm thinking I may just send them in as paper with cover letters and let them request what they will, e-flie or otherwise. Alternatively, I could just not worry about the past ones and just file going forward. It's all a big mess and there's no need for it.